Google has updated its Android's Play Store, to let developers giveaway their premium apps and games for Free, on a limited time basis. It's about time the company did that. Google’s prior policies did not allow paid apps to go free and then back to paid. Once an app went free, it remained that way, which meant developers could not promote their premium games and apps. Some developers made their creations free and then abandoned the app/game, to release a separate paid version to bypass this restriction. The introduction of free codes last year was a good one, but that had a limited number of codes, which also restricted developers. The time limited giveaways allows apps to go back to its premium price, and hence is a very welcome move from a developer’s perspective. This is similar to the Apple's iOS App Store, which does regular promotions, where many top paid games and games go free once in a while. 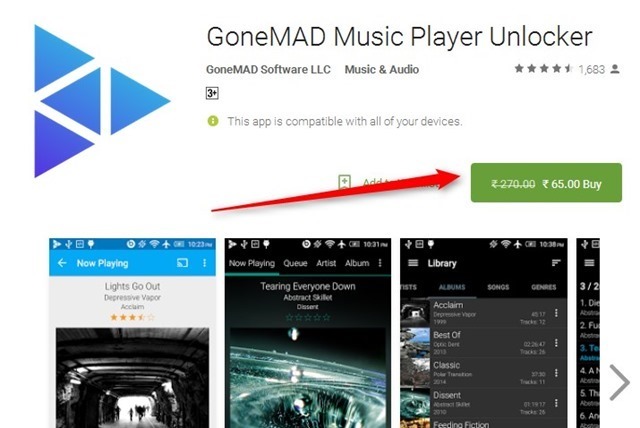 Also, Google Play Store has made sales official. Now apps and games which have a price cut, will now display the original price in a struck out format like this Rs. 100.00 with the sale price listed next to it in normal text like this Rs. 10.00. Premium apps and games gone free will also work similarly. 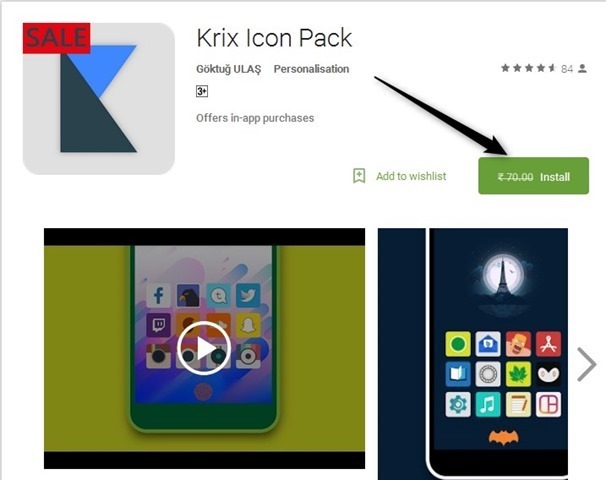 Once an app developer sets his or her game or app for free, you will see the original price in a struck out format, along with an install button. Once you install it on your Android phone or tablet, the premium app stays in your library permanently. You can uninstall it if you want, and re-download it later. This news comes in good time for fans of the recently discontinued service, AppGratis. Though Google now offers free premium content, there is no way to be notified when paid apps and games drop to free. It would be nice if we got a notification from the Play Store app, like AppGratis used to send for giveaways. You can use something like AppSales, which we are fans of, to be notified about discounts, games and apps which have gone free. But even that is not a 100% guarantee to find lesser known apps and games. So we suggest adding games and apps to your Play Store wishlist, and monitor them from time to time.